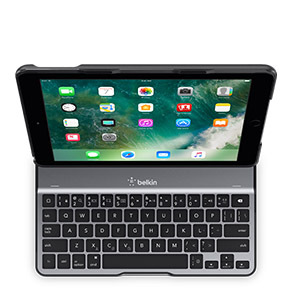 The perfect companion for your iPad, the Ultimate Lite Keyboard Case is thin and portable, yet durable and packed with features. A fully protective case keeps you and your iPad truly mobile, a premium aluminum keyboard with well-spaced keys delivers an enhanced typing experience, and advanced power management features preserve optimal battery life. 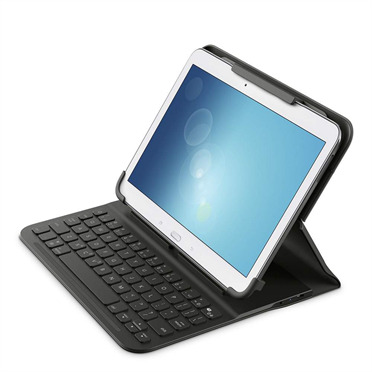 Holding your iPad at the perfect viewing angle for typing, or switching easily to media mode for movies or presentations, Ultimate Lite Keyboard Case is easy to use anywhere. 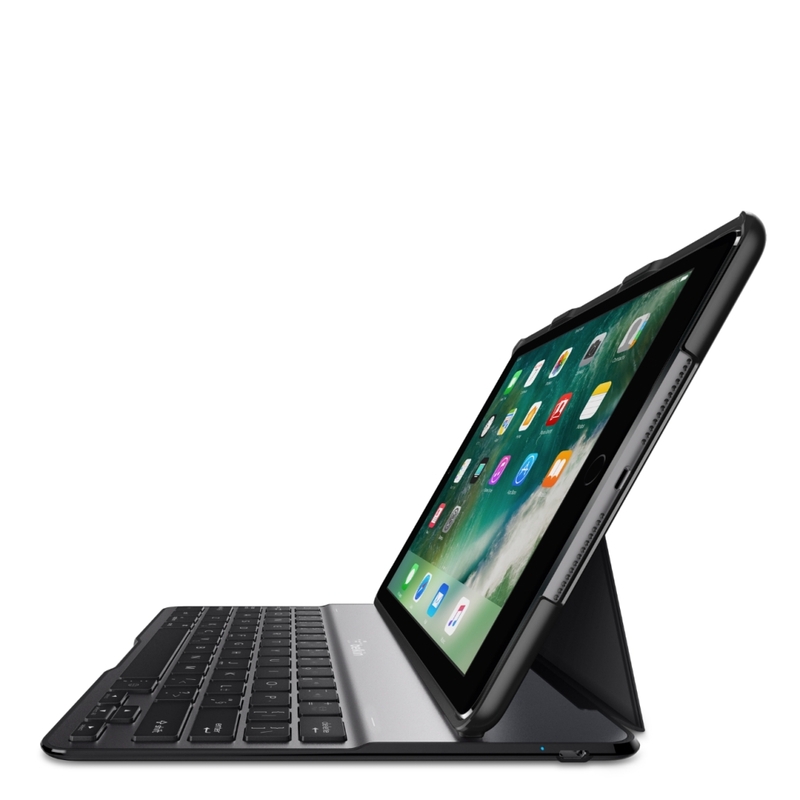 And despite its superior performance and durable features, it’s still light and portable enough for your life on the move. 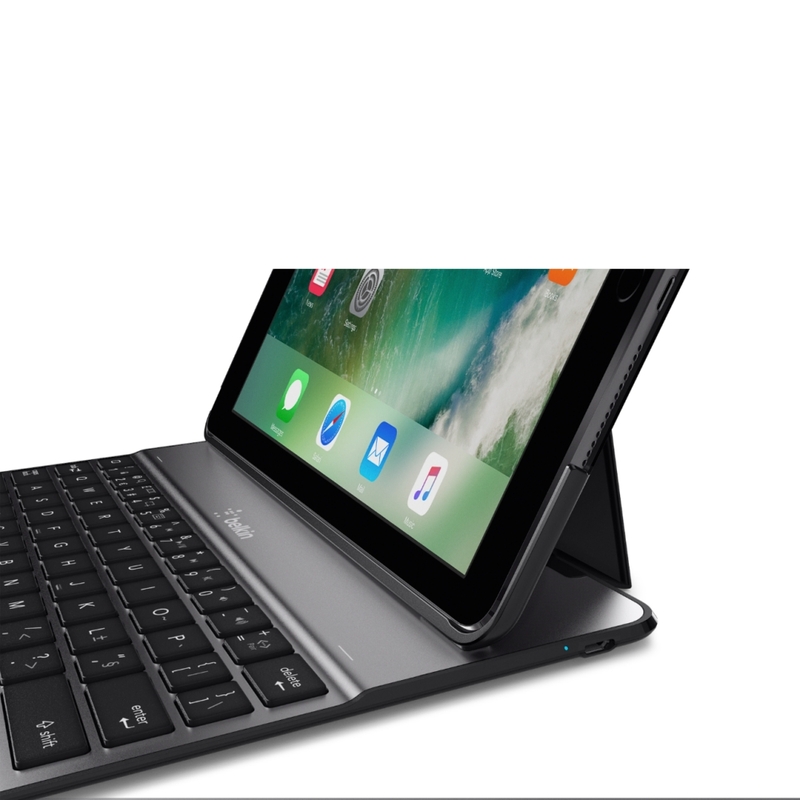 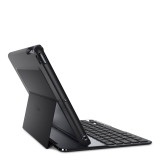 Designed specifically for iPad 9.7” 6th Generation (2018), the Ultimate Lite Keyboard Case is the ideal companion in every way: from the form-fitting protective case and aluminum finish keyboard, to its sophisticated power management features and lightweight, ultra-thin design. 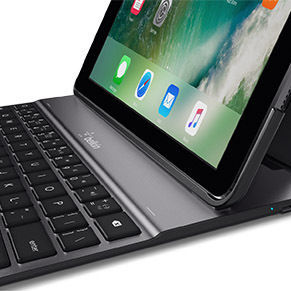 Following in the footsteps of our pioneering keyboard for iPad Air, this light, slim keyboard boasts all the benefits of the Ultimate Lite Keyboard Case, plus compatibility with the iPad (6th and 5th Generation). Secure magnets hold your iPad at the ideal angle for maximum visibility whether you’re typing or watching a movie. 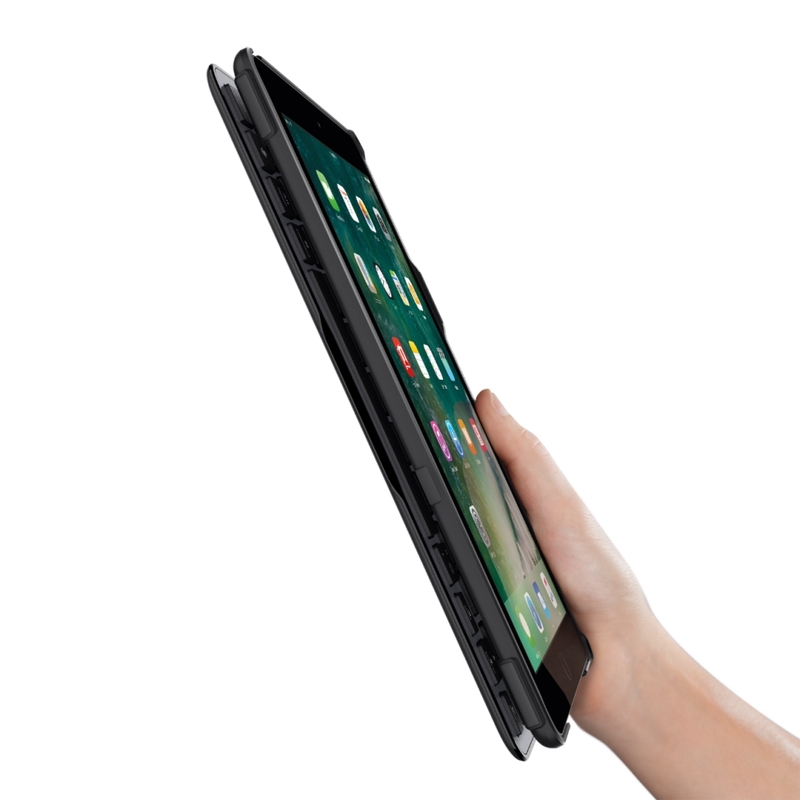 Plus, a neat foldaway option for the keyboard in media mode makes your iPad stronger, more mobile and more functional than ever.